This adorable megaphone bow/earring holder will organize all her bows while showing supprt for her favorite team! The 3 foot grosgrain ribbon can also be used to keep her earrings handy! 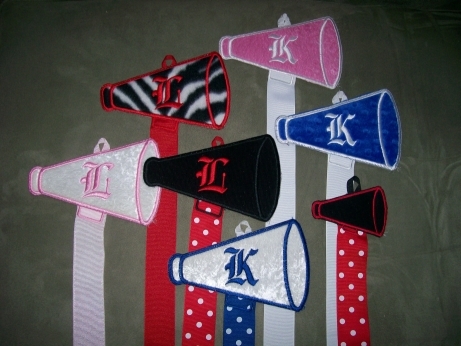 You choose 2 colors or Team & small or large megaphone.